Draft: 2011, New York Yankees, 5th rd. Graduated from Grandview High School (Colo.) in 2011…as a senior, batted .553 with 12HR and 38RBI…was named 2011 Gatorade Colorado High School "Player of the Year"…in 2010, participated in the Under Armour All-America Game. Hit .199 (54-for-272) with 23R, 16 doubles, 1 triple, 11HR and 38RBI in 82 games (69 starts at 1B, 3 at DH) with the Yankees…of his 54H, 28 went for extra bases…of his 11HR, four tied the game or gave the Yankees the lead...Hit two grand slams, becoming the first Yankee with multiple grand slams in a season since Mark Teixeira (two) in 2016…was one of four Yankees with multiple grand slams in 2018 (also Andújar, Gregorius and Stanton)...Was placed on the 10-day disabled list on 3/29 (retroactive to 3/26) recovering from right ankle surgery, which was performed on 3/27…the surgery was performed by Dr. Martin O'Malley at the Hospital for Special Surgery in Manhattan to remove a small broken spur on the outside aspect of his right ankle…in 12 rehab games with Single-A Tampa, Double-A Trenton and Triple-A Scranton/Wilkes-Barre hit .205/.367/.436 (8-for-39) with 9R, 3HR, 8RBI and 10BB…was returned from rehab and reinstated from the disabled list on 5/26 (missed the Yankees' first 48 games of the season)…made his season debut and went 0-for-4 in 5/26 loss vs. Los Angeles-AL...Hit .571/.652/1.143 (8-for-14) with 2 doubles, 2HR, 15RBI and 7BB with runners in scoring position from 6/26-7/21...Hit two solo HRs in 6/29 win vs. Boston…was his second career multi-home run game (also 8/19/15 vs. Minnesota)...Batted .265 (22-for-83) with 19RBI in 23 games in July after hitting .184 (14-for-76) with 6RBI in 24 games in June...Had a career-high-tying eight-game hitting streak (third time) from 7/7-14 (.321, 9-for-28, 3HR, 12RBI)...Hit first career grand slam in 7/11 win at Baltimore, tying his career high with 4RBI (fourth time and second time in as many games)…also homered and drove in four runs in 7/10 loss at Baltimore…became the first Yankee to collect at least 4RBI in consecutive games since Alfonso Soriano vs. Los Angeles-AL on 8/13/13 (2HR, 6RBI) and 8/14/13 (2HR, 7RBI)…was part of a career-best three-game multi-RBI streak (2RBI on 7/12 at Cleveland)...Hit his second career grand slam (and second of the season) in 8/19 win vs. Toronto...Snapped an 0-for-21 stretch with a third-inning double in 8/29 loss vs. Chicago-AL...Went 2-for-5 with 1R, 1 double and 1RBI in 9/29 win at Boston, his first multi-hit game since 8/11 vs. Texas (2H)...Did not make the Yankees' Wild Card Game or ALDS playoff rosters...Batted .154 (8-for-52) with 6R, 1 double, 1HR and 4RBI in 18 spring training games…was scratched from the lineup prior to 3/24 game at Atlanta with a sore right foot…had an initial examination with Dr. Daniel Murphy in Tampa that day and underwent a CT scan and an MRI, revealing right foot inflammation…was evaluated by foot and ankle specialist, Dr. Martin O'Malley, in New York on 3/26 and underwent surgery on 3/27. Hit .190 (28-for-147) with 20R, 7 doubles, 9HR and 28RBI in 48 games (40 starts at 1B, 1 at DH) with the Yankees... The Yankees went 38-21 (.644) with him on the active roster, compared to 53-50 (.515) during his D.L. stint... Missed four games (4/8-12) with a right ankle injury (suﬀered after fouling a ball of his foot during a spring training game against the Phillies in Clearwater on 3/30)…X-rays taken were negative... Was placed on the 10-day disabled list on 5/2 with a right ankle bruise…combined to play in 12 rehab games with Single-A Tampa and Triple-A Scranton/Wilkes-Barre from 6/1-14, batting .237 (9-for-38) with 6R, 4 doubles, 4RBI and 12BB before being returned from rehab on 6/15 with a right knee contusion…was transferred to the 60-day D.L. on 6/29…underwent surgery on 7/18 to remove the os trigonum, a bone in his right ankle…the surgery was performed by Dr. Martin O'Malley at the Hospital for Special Surgery in New York…began a new rehab assignment on 8/16 with Scranton/WB, batting .423 (11-for-26) with 8R, 2 doubles, 3HR and 6RBI in nine games…was returned from rehab and reinstated from the 60-day D.L. on 8/26…missed 103 team games... Had 14R, 8HR and 25RBI in 29 games after returning from the disabled list on 8/26…hit .480 (12-for-25) with RISP over the span…drove in nine of the Yankees' 23R in ﬁve games from 8/27-31... Missed three games (9/11-13) with lower back tightness…was scratched from the lineup prior to 9/11 win against Tampa Bay at Citi Field with the injury... Had at least one extra-base hit in seven straight games from 9/20-29, collecting 4 doubles and 4HR over the span…was the second-longest such streak by a Yankee since 2010, trailing only Judge's eight-game streak from 9/20-28/17…also had at least 1RBI in each of those games, the Majors' longest streak of games with at least 1XBH and 1RBI in 2017 and tied for the third-longest such streak in Yankees history: Don Mattingly (9G, 7/7-18/87), Babe Ruth (8G: 6/23-7/1/1920) and Alex Rodriguez (7G, 4/14-21/07)... In 13 postseason games, hit .244/.426/.512 (10-for-41) with 5R, 2 doubles, 3HR, 6RBI and 12BB…reached base safely in 12 of his 13 playoﬀ games…with Gary Sánchez, became the ﬁrst pair of Yankees teammates, age 24-or-younger, to each hit multiple HRs in the same postseason…at 24 years, 338 days old, at the time of his third playoﬀ HR, became the second-youngest Yankees player with at least 3HR in a single postseason (Charlie Keller, 23y, 26d at the time of his third HR in the 1939 World Series against the Reds)…was surpassed by Sánchez later in the postseason... Hit a solo HR in the seventh inning of ALDS Game 3 win vs. Cleveland, accounting for the only run of the game…joined Jorge Posada (2001 ALDS Game 3 at Oakland - ﬁfth inning) and Tommy Henrich (1949 World Series Game 1 vs. Brooklyn - ninth inning) as the only Yankees to homer in a 1-0 postseason win…the last Yankee to homer in a regular season 1-0 win was Derek Jeter (5/25/10 at Minnesota)…was the Yankees' ﬁrst go-ahead postseason HR in the seventh inning or later since Raúl Ibañez's "walk-oﬀ" HR in the 12th inning of 2012 ALDS Game 3 vs. Baltimore…was his second HR in as many days, the ﬁrst Yankee to homer in consecutive postseason games since Robinson Canó in 2010 ALCS Games 4 and 5 vs. Texas. Missed the entire 2016 season recovering from right shoulder labrum surgery…the surgery was performed on 2/2/16 by Dr. David Altchek at The Hospital for Special Surgery in New York…the repaired injury was a reoccurrence of a right shoulder injury sustained in May of 2015…was placed on the 15-day disabled list on 4/3 (retroactive to 3/25) and transferred to the 60-day D.L. on 5/14…was reinstated from the 60-day disabled list on 10/10. Following the season, played for the Scottsdale Scorpions in the Arizona Fall League, batting .215 (14-for-65) with 9R, 4 doubles, 1 triple, 1HR and 10RBI in 17 games. Hit .261 (41-for-157) with 26R, 9 doubles, 11HR and 31RBI in 46 games (42 starts at 1B) with the Yankees…from the time of his Major League debut on 8/13 through the end of the season, led the Yankees in home runs and tied for the lead in RBI (also Beltran)…marked the most home runs by a Yankees rookie since Robinson Cano hit 14HR in 2005...Of his 11HR, six gave the Yankees the lead…was tied with Carlos Beltran for the team in go-ahead homers from the time of his call-up through the end of the season…eight of his 11HR came with at least one runner on base (credit: Elias)...His 11HR tied for the most by any player in Baseball history in his first Major League season after debuting in August or later (Mike Jacobs hit 11HR for the 2005 Mets after debuting on 8/21)…entering the season, Steve Whitaker (7HR in 1966 after debuting on 8/23) held the Yankees franchise record-credit: Elias...Hit 11HR in his first 46 Major League games, the third-most by a Yankee in franchise history (Shane Spencer-12, 1998-99; Kevin Maas-15, 1990)…had 31RBI in the same span, the most by a Yankee since Shane Spencer from 1998-99 (32)... Led all Major League rookies (min. 125AB) with a 14.27AB/HR ratio (11HR in 157AB)...Hit .324 (23-for-71) with 8HR, a .718 SLG% and 1.149 OPS with runners on base, compared to .209 (18-for-86) with 3HR, a .372 SLG% and a .633 OPS with the bases empty...According to MLB Statcast, his 94.5 mph average exit velocity on 93 batted balls was fourth-highest in the Majors (min. 50 batted balls), trailing Giancarlo Stanton (99.1), Miguel Cabrera (95.1) and Miguel Sano (94.9)...Made his Major League debut in 8/13 win at Cleveland, going 0-for-5…was signed to a Major League contract and selected to the Yankees' 25-man roster prior to the game...Collected his first Major League hit with an eighth-inning single off LaTroy Hawkins in 8/15 win at Toronto, going 1-for-4...Recorded his first career RBI and multi-hit game in 8/18 win vs. Minnesota, going 2-for-4 with 1R and 1RBI...Hit two-run HR-the first of his Major League career-in the fourth and two-run HR in the sixth and was 2-for-4 in 8/19 win vs. Minnesota…became the third Yankee in franchise history with a multi-HR game within his first five Major League games (also Jesus Montero, fourth game on 9/5/11 vs. Baltimore-2HR and Shelley Duncan, fourth game on 7/22/07 vs. Tampa Bay-2HR)…is the first Yankee to hit his first two career HRs in the same game since Montero…according to Elias, became the first Yankees rookie to have at least 4RBI (since 1920) and drive in all of the team's runs in a win...Had 8HR in September, tied for third-most in the AL…marked the seventh time ever that a Yankees rookie hit at least 8HR in a calendar month, the first since Shane Spencer hit 8HR in Sept. 1998…was one of six Major League rookies to hit at least 8HR in a calendar month in 2015, joining Joc Pederson (9HR/May), Maikel Franco (8HR/June), Miguel Sano (9HR/August), Kyle Schwarber (9HR/August) and Justin Bour (9HR/September)…tied for third in the AL with four game-winning RBI in September...Hit game-winning three-run HR and was 1-for-3 with 2R, 3RBI and 1BB in 9/7 win vs. Baltimore…came in his 22nd career game, making him the sixth Yankees player since at least 1914 with at least 5HR in his first 22 Major League games (Kevin Maas-7, Shelley Duncan-6, Shane Spencer-6, Steve Whitaker-6 and Joe Pepitone-5)...Reached base safely in a career-high 12 straight games (w/ a plate appearance) from 9/11-25...Hit safely in a career-high eight straight games from 9/15-23, batting .333 (10-for-30) with 6R, 3 doubles, 5HR, 11RBI, 4BB and a .412 OBP over the stretch...Hit game-winning three-run HR in the 10th-his third homer in as many games and fifth in last seven-in 9/22 win at Toronto…was the second Yankees rookie with a go-ahead HR in the ninth inning or later on that road trip (also Slade Heathcott on 9/14 at Tampa Bay) after no Yankees rookies had done so since Melky Cabrera in 2006…according to Elias, became the first Yankees rookie to hit an extra-inning home run in a road victory since 7/14/62, when Tom Tresh hit a two-run HR in the 10th inning off the Angels' Dean Chance in a 9-8 win at Dodger Stadium...Made his postseason debut in 10/6 AL Wild Card Game loss vs. Houston, starting at 1B and going 1-for-3...Underwent surgery to repair a right shoulder labrum tear on 2/2/16 and will miss the 2016 season…the injury is a reoccurrence of a right shoulder injury sustained in May of 2015…the surgery will be performed by Dr. David Altchek at The Hospital for Special Surgery in New York...Began the season with Double-A Trenton, hitting .258 (47-for-182) with 29R, 16 doubles, 6HR, 29RBI and 24BB in 49 games…spent 5/8-6/4 on the Trenton D.L. with a right shoulder injury...Was promoted to Triple-A Scranton/Wilkes-Barre on 7/1…batted .301 (41-for-136) with 15R, 7 doubles, 1 triple, 6HR, 23RBI and 11BB in 34 games with the RailRiders…was named IL "Player of the Week" on 8/10 after batting .348 (8-for-23) with 4R, 2 doubles, 1 triple, 2HR, 10RBI and 1BB in six games from 8/3-9...Attended spring training as a non-roster invitee with the Yankees, batting .353 (6-for-17) with 4R, 3 doubles, 1HR and 4RBI in 13 games...Following the season, was tabbed by MiLB.com as an Organization All-Star. Combined at Single-A Tampa and Double-A Trenton to bat .271 (100-for-369) with 52R, 30 doubles, 14HR, 43RBI and 63BB in 102 games.,,Began the season with Tampa and hit .277 (76-for-274) with 36R, 22 doubles, 7HR, 32RBI and 45BB in 75 games...Reached base safely in 15 straight games from 7/17-8/1, hitting .346 (18-for-52) with 9R, 4 doubles, 3HR, 13RBI and 13BB over the span...Was promoted to Trenton on 8/2 and appeared in 27 games, batting .253 (24-for-95) with 16R, 8 doubles, 7HR, 11RBI and 18BB…recorded a multi-HR game on 8/6 vs. Altoona, going 4-for-4 with 3R, 1 double and 2RBI...Was named Eastern League "Batter of the Week" on 8/11 after hitting .421 (8-for-19) with 8R, 2 doubles, 3HR, 3RBI and 4BB from 8/4-10, his first full week at the Double-A level...Played for Scottsdale in the Arizona Fall League at the close of the season, batting .313 (31-for-99) with 21R, 6 doubles, 6HR and 21RBI in 26 games…was named the 2014 Joe Black MVP of the AFL as he ranked among the league leaders in home runs (tied for first), runs (first), RBI (second), hits (tied for second), total bases (second, 55), slugging percentage (third, .556), extra-base hits (tied for third, 12) and batting average (sixth)…was named "AFL Player of the Week" on 10/21 after batting .353 (6-for-17) with 3R, 2HR and 5RBI over four games…was selected as an AFL Rising Star and named the MVP of the Fall Stars Game...Following the season, was tabbed by Baseball America as the No. 4 prospect in the Yankees organization. Spent the entire season with Single-A Charleston, hitting .288 (132-for-458) with 84R, 36 doubles, 3 triples, 20HR, 84RBI and 107BB in 130 games…led all minor league batters in walks…led all Yankees farmhands in runs scored, ranked second in RBI, third in HR and sixth in batting average...Led the South Atlantic League in on-base percentage (.428), tied for second in RBI, ranked third in runs scored, fourth in games played, fifth in doubles and eighth in batting average…ranked second in the SAL in extra-base hits (59) and finished with a .511 slugging percentage...Was named SAL "Batter of the Week" on 7/22…on 7/19 vs. Greensboro, went 4-for-5 with 3R, 3HR and 7RBI, homering in each of his first 3PA...Was named to the SAL Postseason All-Star Team…was tabbed by MiLB.com as an Organization All-Star at the conclusion of the season…was also tabbed by Baseball America as the No. 8 prospect in the Yankees organization, as the "Best Hitter for Average," and as having the "Best Strike-Zone Discipline." Split the season between the GCL Yankees and short-season Single-A Staten Island, combining to bat .337 (30-for-89) with 13R, 6 doubles, 2HR and 13RBI in 28 games. Made his professional debut on 8/22 with the GCL Yankees…in four games, hit .083 (1-for-12) with 1BB. 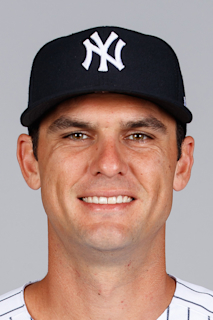 April 16, 2019 New York Yankees placed 1B Greg Bird on the 10-day injured list retroactive to April 14, 2019. Left plantar fascia tear. May 26, 2018 New York Yankees activated 1B Greg Bird from the 10-day disabled list. May 21, 2018 New York Yankees sent 1B Greg Bird on a rehab assignment to Scranton/Wilkes-Barre RailRiders. May 15, 2018 1B Greg Bird assigned to New York Yankees. May 14, 2018 New York Yankees sent 1B Greg Bird on a rehab assignment to Trenton Thunder. May 10, 2018 New York Yankees sent 1B Greg Bird on a rehab assignment to Tampa Tarpons. March 29, 2018 New York Yankees placed 1B Greg Bird on the 10-day disabled list retroactive to March 26, 2018. Right ankle surgery. August 26, 2017 New York Yankees activated 1B Greg Bird from the 60-day disabled list. August 16, 2017 New York Yankees sent 1B Greg Bird on a rehab assignment to Scranton/Wilkes-Barre RailRiders. June 29, 2017 New York Yankees transferred 1B Greg Bird from the 10-day disabled list to the 60-day disabled list. Right ankle bruise. June 8, 2017 New York Yankees sent 1B Greg Bird on a rehab assignment to Scranton/Wilkes-Barre RailRiders. June 1, 2017 New York Yankees sent 1B Greg Bird on a rehab assignment to Tampa Yankees. May 2, 2017 New York Yankees placed 1B Greg Bird on the 10-day disabled list. Right ankle bruise. October 10, 2016 New York Yankees activated 1B Greg Bird from the 60-day disabled list. August 13, 2015 New York Yankees selected the contract of 1B Greg Bird from Scranton/Wilkes-Barre RailRiders. July 4, 2015 1B Greg Bird assigned to Scranton/Wilkes-Barre RailRiders from Trenton Thunder. June 4, 2015 Trenton Thunder activated 1B Greg Bird from the 7-day disabled list. May 8, 2015 Trenton Thunder placed 1B Greg Bird on the 7-day disabled list. February 5, 2015 New York Yankees invited non-roster 1B Greg Bird to spring training. August 2, 2014 1B Greg Bird assigned to Trenton Thunder from Tampa Yankees. May 7, 2014 Tampa Yankees activated 1B Greg Bird from the 7-day disabled list. April 3, 2014 Tampa Yankees placed 1B Greg Bird on the 7-day disabled list. March 31, 2014 1B Greg Bird assigned to Tampa Yankees from Charleston RiverDogs. March 30, 2013 1B Greg Bird assigned to Charleston RiverDogs from Staten Island Yankees. January 31, 2013 New York Yankees invited non-roster 1B Greg Bird to spring training. August 25, 2012 Greg Bird assigned to Staten Island Yankees from GCL Yankees. August 4, 2012 Greg Bird assigned to GCL Yankees from Staten Island Yankees. July 31, 2012 Greg Bird assigned to Staten Island Yankees from GCL Yankees. August 22, 2011 Greg Bird assigned to GCL Yankees. August 21, 2011 New York Yankees signed C Greg Bird.